for $185,000. The lot size is 10.39 Acre(s). 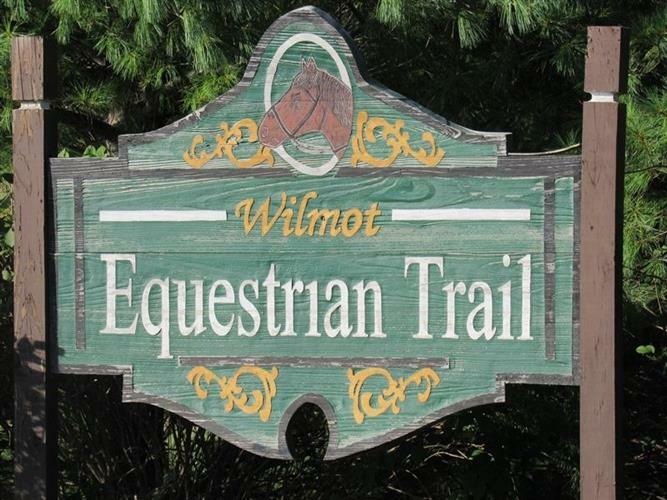 Rare opportunity to build your dream home in Wilmot Equestrian Trails on this 10.39 parcel. Looking for quiet, private setting but close to the lakes, river, conveniences and WI/IL borders, this is the location. Beautiful! Gorgeous building site is zoned agriculture, outbuildings allowed.